Christmas, our favorite time of year when everything is so magical & sparkly. Jomelle from the My Prima Planner design team truly captures this with her Traveler’s notebook set up in her Sophie personal sized PTJ. 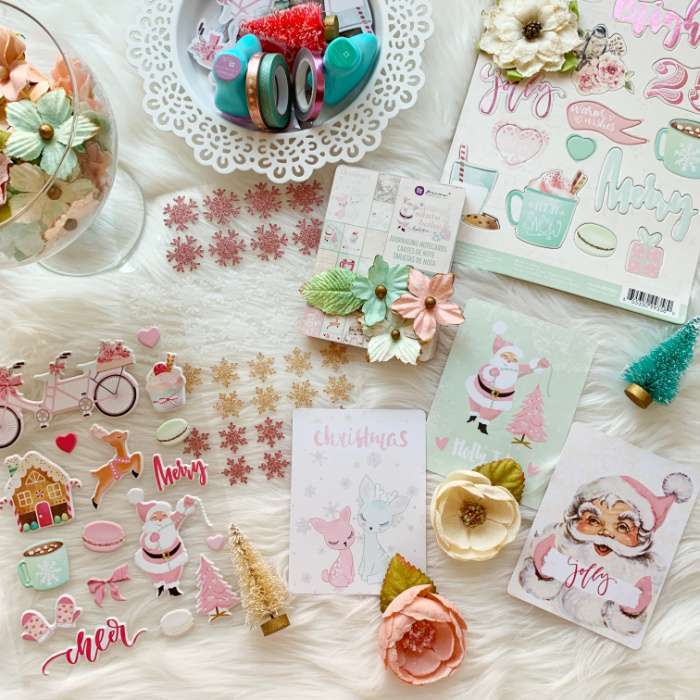 The collections has beautiful soft mints, and lovely pale pinks with stunning pink foil accents throughout the entire collection. Here you will find a joyful Santa with his ruby red cheeks,and hearty smile, truly captures this joyous season.